Buy a Print from 100CAMERAS and Make a Difference! Purchase a print from 100CAMERAS.ORG and with that, provide medicine for one child for one month! 100cameras empowers marginalized children to document their lives through photography and to create positive change in their own communities. 100% of the money from the children’s purchased prints is used to raise awareness and capital to meet physical needs and empower sustainable growth within their community. My favourite project of theirs is the one at St. Bartholomew’s Orphanage in Kajo Keji, South Sudan. The orphanage serves as a home to 80 children who lost their families during the brutal 21-year civil war. The orphanage was founded by IWASSRU (International Widows Association for Southern Sudanese Refugees in Uganda), a group of Sudanese war widows that banded together to care for refugee orphans. 100cameras funds lifeline supplies, such as protection and access to food, water and medicine. 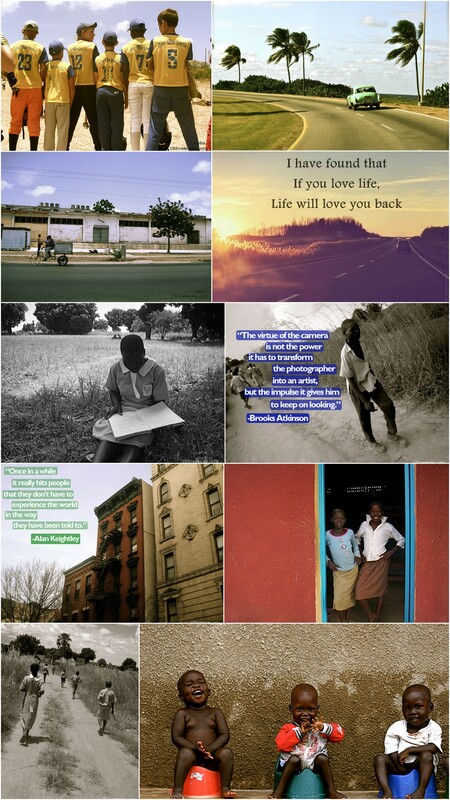 To make your difference, head to 100cameras.org and purchase a print from any one of their projects in South Sudan, Cuba, India or New York City. To date, the sale of the children’s photography has raised $17,000 that was used to build a fence around the campus, protecting them from the rebel forces in Sudan, and has provided critical maintenance for the truck that transports all food and medicine for the children. Purchase a child’s photograph and 100% of your purchase will go directly to IWASSRU to provide lifeline supplies and shelter. Sign Up for Emails to Learn More & Stay in the Loop. Adopt a Camera or Donate Your Dollars or Skills. Host a Snapshot Fundraiser. Email angela@100cameras.org for details. wow, thats a great project, thanks for sharing. i would definitely check the 1000cameras. Super Cool! Thanks for sharing this!